Welcome home to this Luxurious open concept floor plan, that is beautifully nestled in the Cedars and features a spacious 5401 sq ft between both levels, with 4007 sq ft in living space! As you enter the home you will love the tall ceilings, the wall of windows in the great room, and the pride in ownership throughout. The kitchen features include: A fully equipped kitchen to include an abundance of cabinetry & lazy susans, a butcher block food prep cabinet, pull out pots & pan racks, a pull out trash bin, coffee nook, a tile backsplash, granite countertops, a cooktop, built in oven, microwave, dishwasher and a stainless 3 door LG refrigerator! The great room features hardwood flooring & a natural gas fireplace. Other features include an office or parlor; a reading room or library; 3 sets of French doors; plantation shutters & custom shades; Alarm system; A partially finished basement to include a family room & full bathroom; and approximately 1394 sq ft in storage areas! The exterior features an irrigation system, updated landscaping, a stream from a spring in the back yard, a double tiered freshly maintained & painted deck; a bridge, telescoping flag pole & a 3 car garage! Directions:From Elizabethtown N Dixie Hwy turn left onto Ring Rd. go 1.6 miles and turn left onto Evergreen Trail and then turn left onto Cedar Branch Rd. Home is on the right. SchoolsClick map icons below to view information for schools near 125 Cedar Branch Rd Elizabethtown, KY 42701. House for Sale at 125 Cedar Branch Rd Elizabethtown, KY 42701. 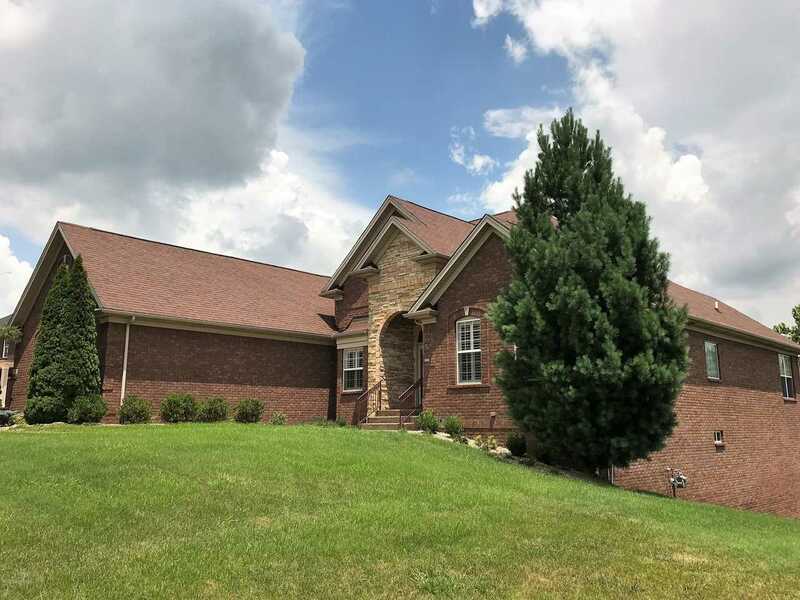 Description: The property located at 125 Cedar Branch Rd Elizabethtown, KY 42701 with the MLS# 1521397 is currently listed for $440,000 and has been on the Elizabethtown market for 118 days. You are viewing the details of the home for sale at 125 Cedar Branch Rd Elizabethtown, KY 42701, located in the The Cedars neighborhood which includes 4 bedrooms, 3 bathrooms, and has approximately 5401 sq.ft. of living area.